Registar.pt Review 2019: Is Registar.pt a Good Hosting? 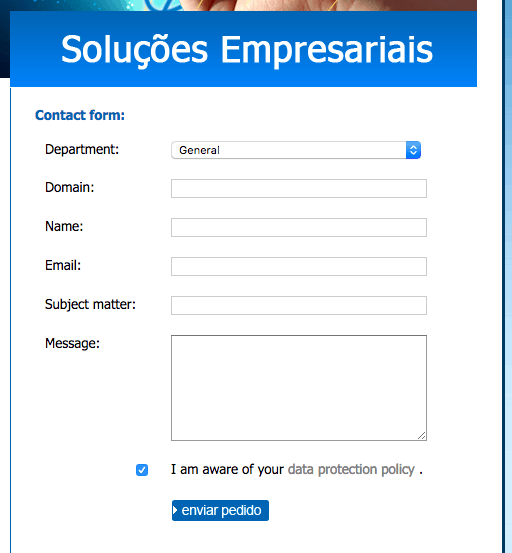 Registar.pt is a long-standing Portuguese hosting company with a selection of industry accreditations. The plans are expensive, but there’s an above par uptime guarantee. Registar.pt is a Portugal-based website hosting and domain registration company. It has been around since 2001 and claims that 70% of its customers come from referrals. The website is available in Portuguese only, although there are links that don’t work to other language versions of the website. Registar.pt offers an above par 99.95% uptime guarantee – the industry standard is 99.9%. The processors used are Intel Pentium Xeon Multi-Processors, but there’s no mention of SSD storage on the website, so you could potentially assume that slower HDD is still in use. You can choose between Windows or Linux operating systems, plus you get access to cPanel, which is a beginner-friendly and easy to use control panel. All of the standard features you’d expect are included e.g., FTP and MySQL databases, as well as Microsoft SQL databases if you select Windows. There’s a free hosting plan, although it only includes up to 250MB of disk space, so it’s only sufficient for small websites or testing purposes. Once you’re into the paid plans, the prices are quite steep considering the level of resources and features. Plans can only be purchased on an annual term, which is restrictive and means you won’t benefit from any long term discounts. There also isn’t an advertised refund policy or money-back guarantee, unfortunately. Customer service is limited to an online contact form, tickets, and a small selection of help documents and tutorials. I did send an email midday on a weekday, and despite the website stating the average response time should be up to two hours during business hours, and although I waited a few days for a reply, I did not hear back. Registar.pt has a handful of industry accreditations dating from 2008 to 2016. The plans are simple but solid, however, the plans are overpriced given the presumed level of value-added features. Wondering how Registar.pt stacks up against other Web Hosting companies? Enter any other Web Hosting company and we will give you a side-by-side comparison.